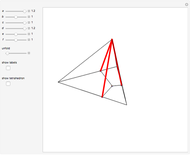 This Demonstration constructs an altitude of a tetrahedron given its edge lengths , , , , , , . (In the figure, the edge length of is .) Suppose the altitude is from vertex to the opposite face . 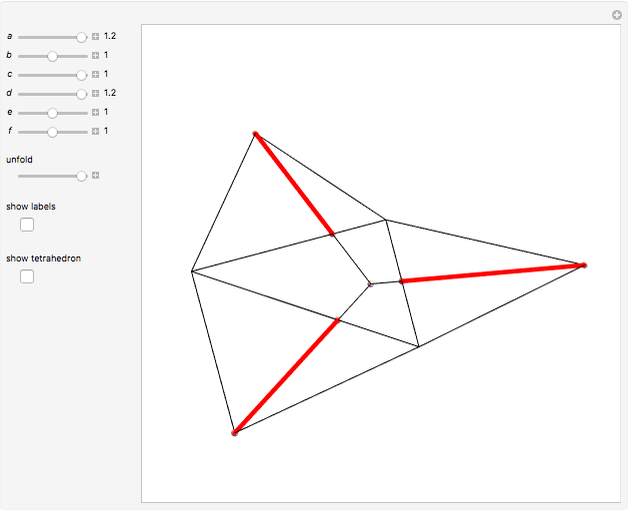 First, construct the net of with the triangle in the center (unfold completely). 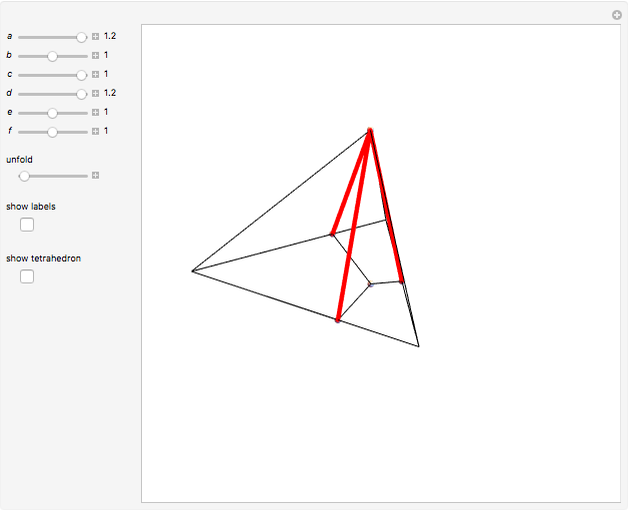 Normals from the vertex to the sides , , meet at a point . 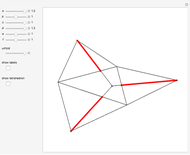 This is the 3D orthogonal projection of vertex . 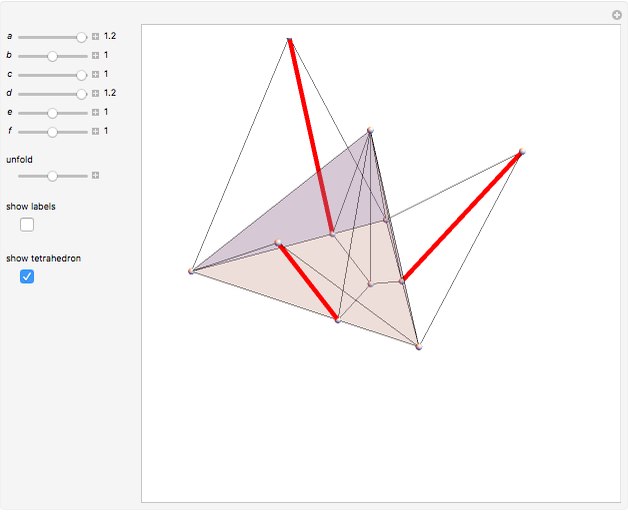 In 3D, the lines , and the altitude form a right triangle with as its hypotenuse. So we can construct the altitude as a leg of the triangle. 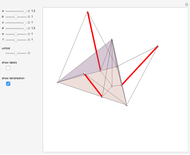 Izidor Hafner "Altitude of a Tetrahedron Given Its Edges"